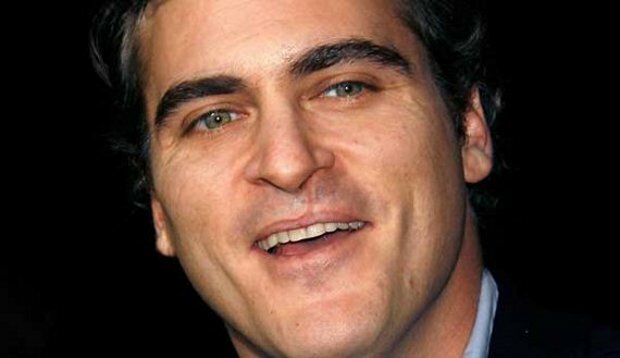 You are trying to find the perfect gift for him? 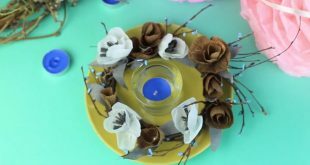 But you also need a crafty therapy? 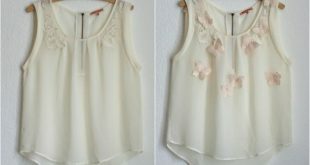 Then you must try this easy and inexpensive project. 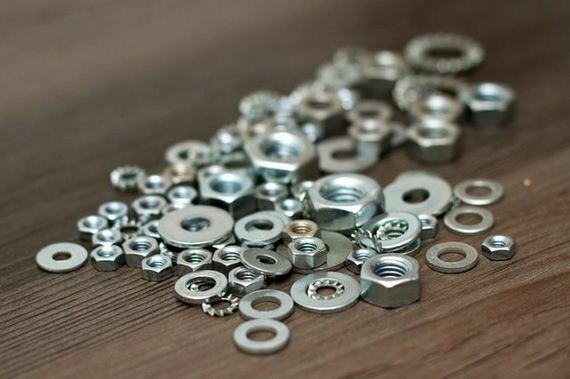 Hex nuts are easy to find in every hardware store and can be much more versatile than you think. 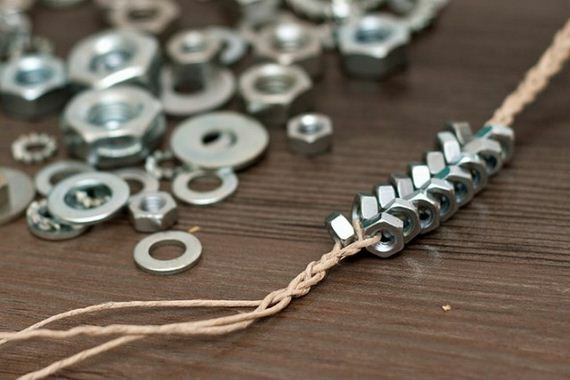 Learn how to braid hex nuts into jewelry and make your own braided hex nut bracelets for you or as a gift for your man. 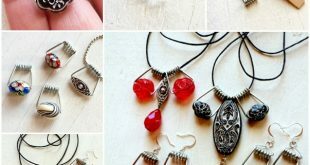 From hex nuts and twine can be made unique jewelry pieces, suitable for everyone, both men and women. Try it! You just need a thicker string and some extra washers, nuts and other metal particles that lie on the bottom of the tool box. 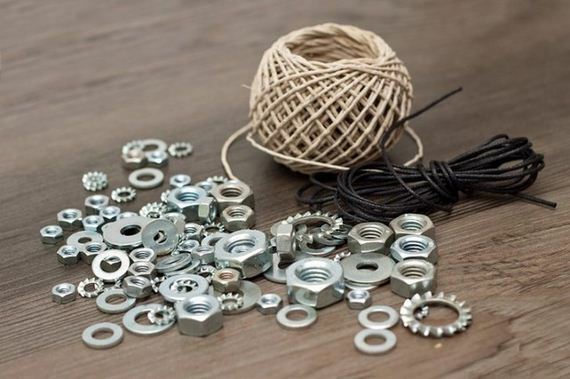 You’ll need 16 hex nuts and about 18 inches of cotton twine, suede cord or any other cord that you like. 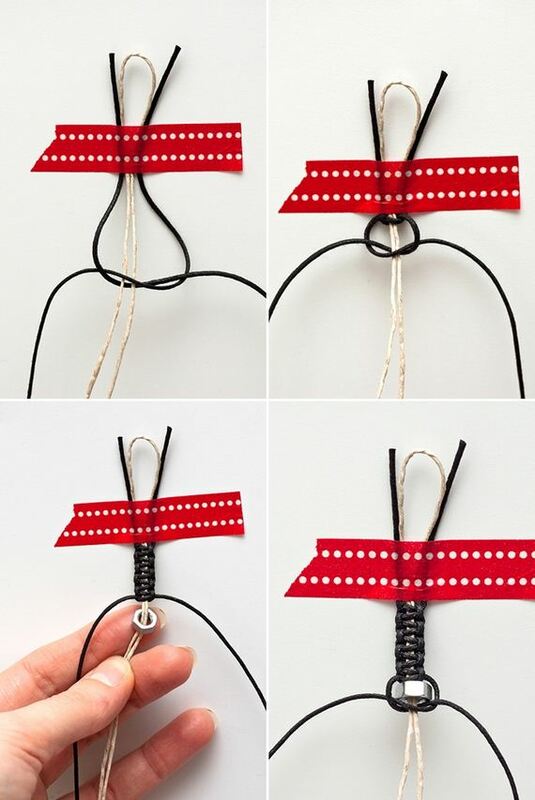 Cut 3 strands of twine, gather them, tie a knot at the top and start braiding. (Tape the end to the table or attach with a safety pin onto a cushion. This would make it much easier to work.) After about 2 inches, start braiding in the hex nuts. Slide one onto the outer strand and continue the braid steps. Repeat until you’ve braided all your hex nuts and your bracelet has already an interesting herring-bone structure. 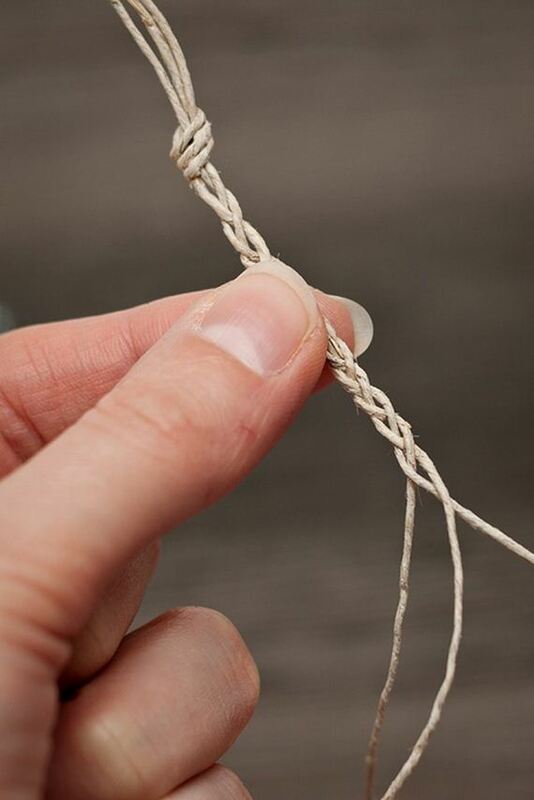 Then continue braiding the twine and create a looped knot at the end. 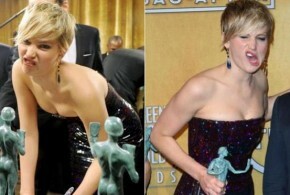 It should act as your clasp. 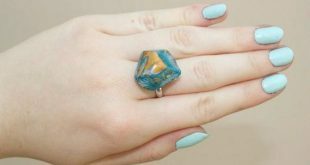 Although the jewelry is made of iron, it can look very delicate and elegant. 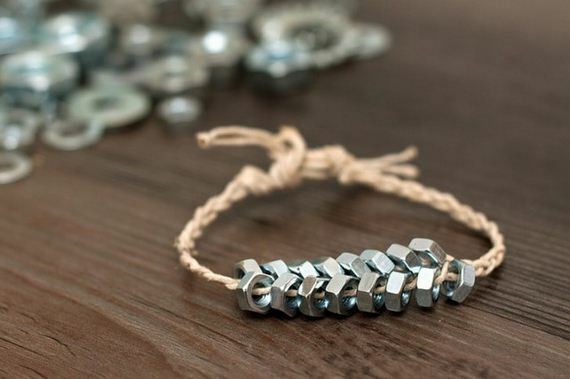 If you mastered the macrame technique (square knot technique), you can create another version of the hex nut bracelet. 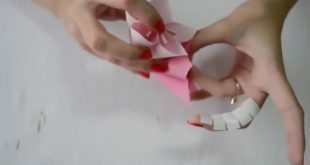 It is not as difficult as it may seem at first glance. We have four cords: two in the middle (shorter), and two outside black (for example, 1.5 m long). 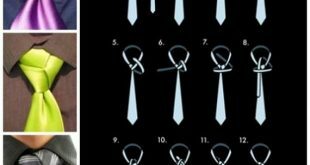 We are going to knot only the black strings, which are knotted as shown in the first image. 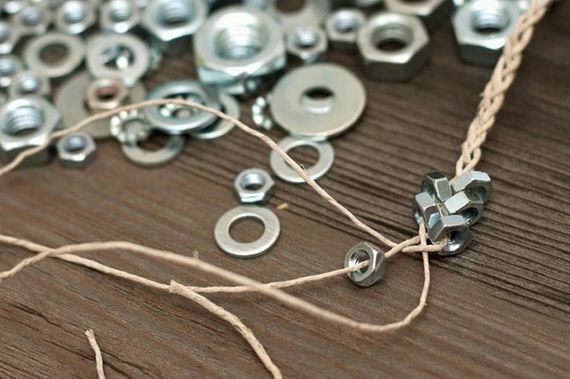 Occasionally slide in a hex nut on the middle string and continue knotting. The final look of the bracelet is really interesting and suitable for a male hand. 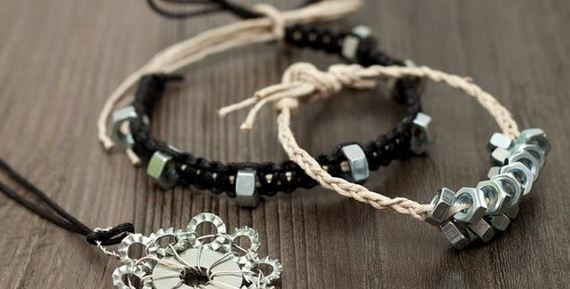 If you want to keep the bracelets for yourself then you can also choose between gold and silver nuts. Combine several colors and stack more bracelets on your hand. 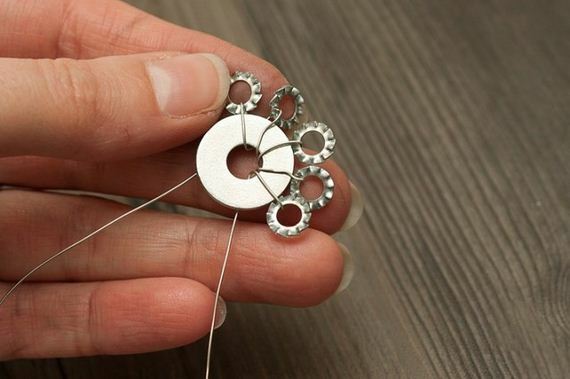 If you want to continue crafting, then make a gift for yourselves – a necklace. 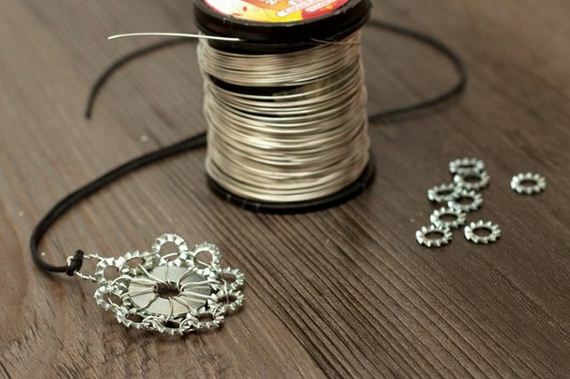 Choose one large and several small external teeth lock washers and tie them together with a wire, forming a flower-shaped pendant.